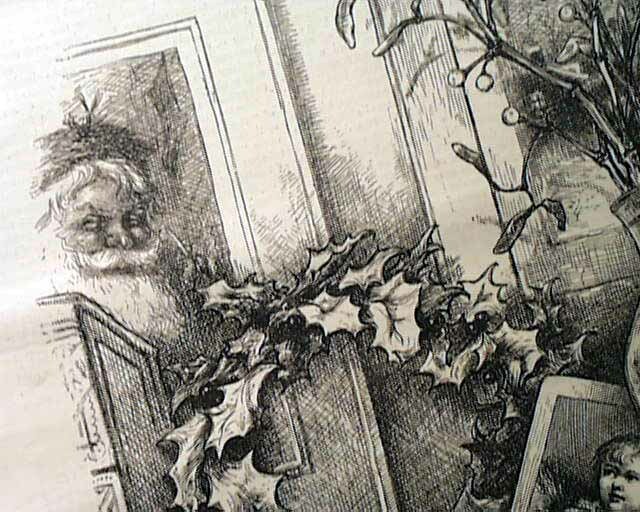 Thomas Nast is credited with creating the modern version of Santa Claus, as well as being a well-known political cartoonist. 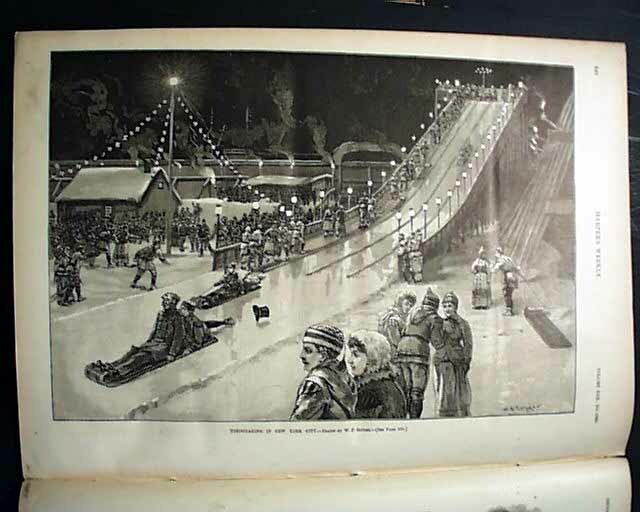 The entire front page is a print by Nast captioned: " 'Twas The Night Before Christmas..." which includes a partial scene of Santa Claus in a framed picture. 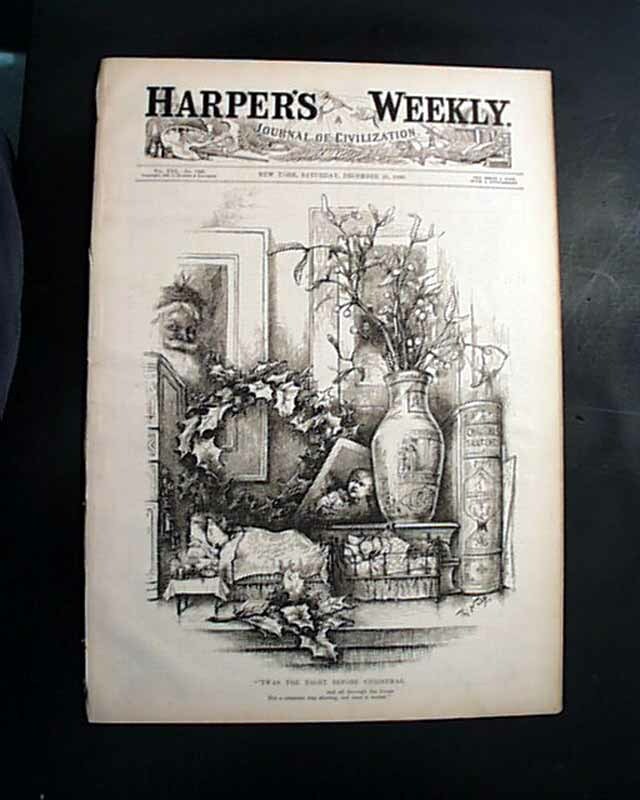 Other prints in this issue include a full page on: "The Thought Reader of Angels" by Bret Harte; a full page: "Christmas Eve--The Cousins" showing a woman on a snowy evening; a doublepage centerfold by Thomas Nast: "Santa Claus Can't Say that I've Forgotten Anything" showing a young girl standing by the fireplace; a full page: "Tobogganing in New York City"; and two-thirds of a page: "Santa Claus Among the Poor" showing parents making toys. 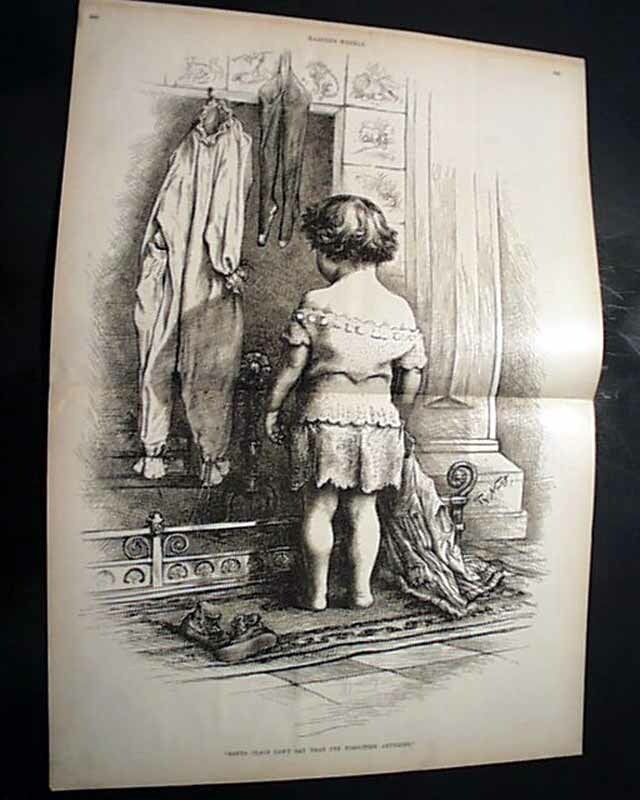 Complete in 16 pages, very nice, clean condition.